Petkind canned cat food is made with high quality and fresh ingredients. Your furry friend won’t be able to resist the delicious flavors packed into this high quality food! Great for all life stages and all shapes and sizes! This formula is complete and balanced, grain free, gluten free, and limited ingredient. Packed with quality ingredients to provide essential amino acids and antioxidants! Tripe will help with your cats teeth, skin and coat and can help keep older cats up and moving. Both Petkind dry and canned food are a wonderful option for picky eaters! Proudly made in the USA without the use of fillers, binders or gum. You can feel satisfied knowing that your furry friend is eating Petkind! 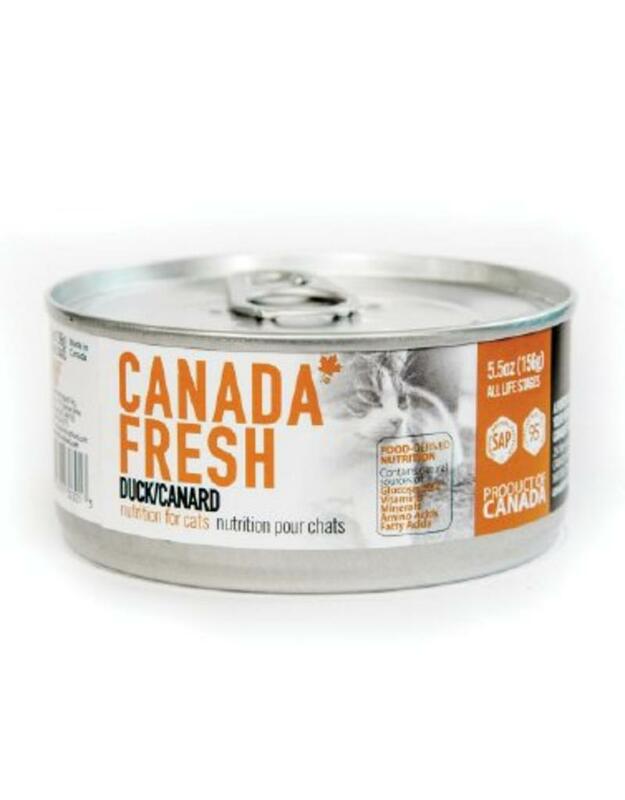 Ingredients: Duck, Duck Broth, Peas, Calcium Carbonate, Agar-Agar, Tri-Calcium Phosphate, Salmon Oil, Choline Chloride, Salt, Taurine, L-Ascorbyl-2-Polyphosphate (Source of Vitamin C), Zinc Proteinate, Vitamin E Supplement, Ferrous Sulfate, Iron Proteinate, Zinc Sulfate, Niacin Supplement, Thiamine Mononitrate, Copper Proteinate, Vitamin A Supplement, Selenium Yeast, Manganese Sulfate, Manganese Proteinate, D-Calcium Pantothenate, Pyridoxine Hydrochloride, Riboflavin Supplement, Biotin, Vitamin D3 Supplement, Vitamin B12, Calcium Iodate, Folic Acid.